Dutch police have arrested the main suspect in Monday morning's shooting on a tram in Utrecht that left three people dead and five wounded. Prosecutors say Turkish-born Gokman Tanis, 37, has had previous run-ins with police, but they did not give any information about a possible motive. Investigators earlier said they're considering a possible "terrorist motive" and are looking into reports of other shootings in Utrecht, the fourth largest city in the Netherlands. 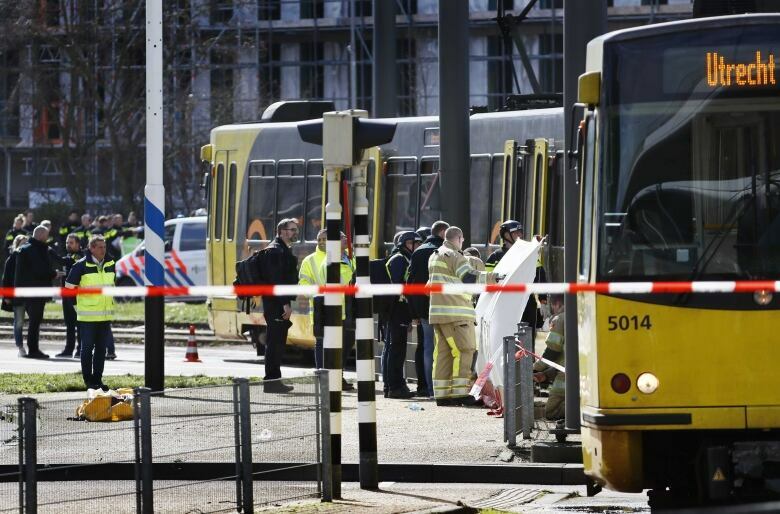 The Dutch anti-terror co-ordinator raised the threat alert in Utrecht province to its highest level after someone opened fire on the tram around 10:45 a.m. local time. An anti-terrorism unit was sent to the scene, and according to police, anti-terror co-ordinator Pieter-Jaap Aalbersberg said investigators were considering the possibility there was a "terrorist motive." The father of the suspect said his son should be punished if he's to blame. Mehmet Tanis, who lives in Turkey's central Kayseri province, told the private Demiroren news agency that he hadn't spoken to his son in 11 years. He said "if he did it, he should pay the penalty." Separately, Turkey's official Anadolu news agency said the suspect's relatives believe he shot at someone close to the family due to "family issues." Initially, police confirmed one person had been killed after they erected a tent over a body lying next to the tram. Utrecht Mayor Jan van Zanen later revised the death toll to three and said nine others were wounded, three of them seriously. 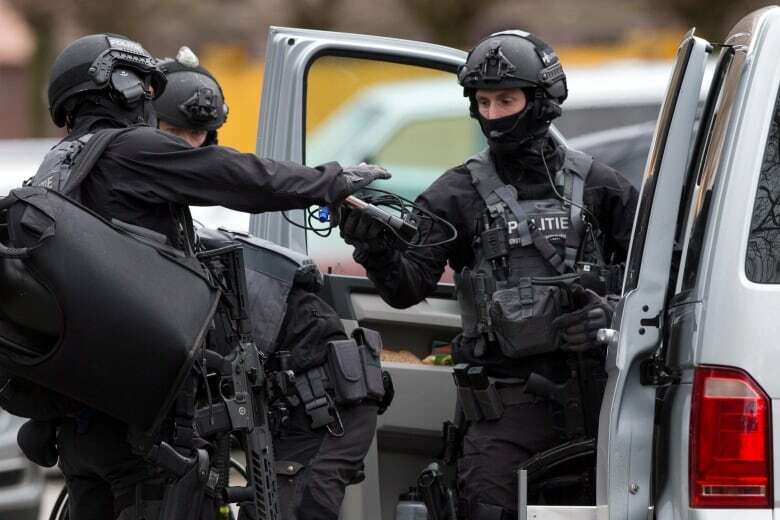 Police in Utrecht then reduced the number of people injured to five as they launched a manhunt, but did not give a reason for the revised number. Dutch Prime Minister Mark Rutte called the situation "very worrying," while the anti-terrorco-ordinator said he was holding a "crisis" meeting. "There is a mix of disbelief and disgust" throughout the Netherlands, Rutte said. "If it is a terror attack, then we have only one answer: our nation, democracy must be stronger than fanaticism and violence." 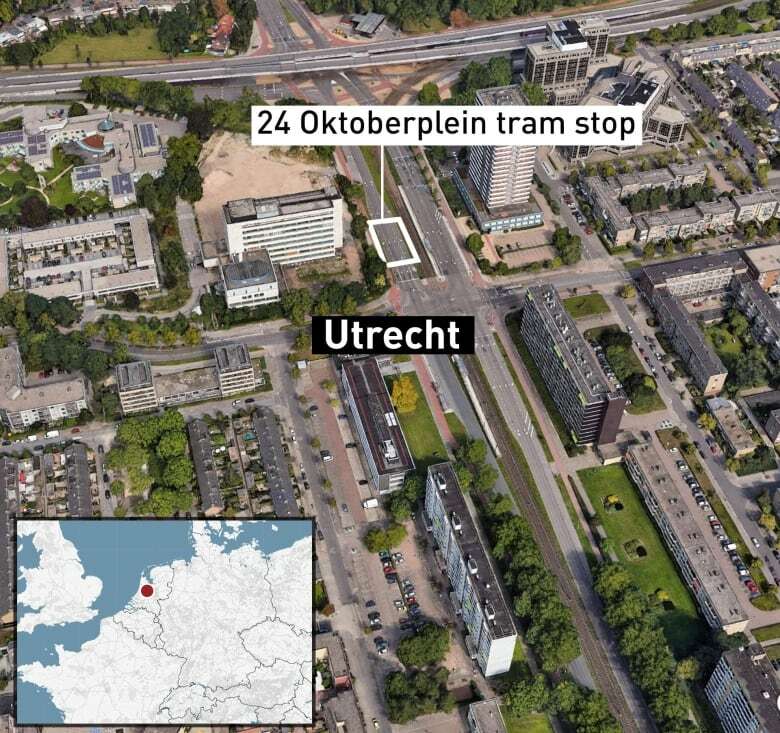 Utrecht police cordoned off the 24 October Square tram station, located in a residential neighbourhood outside the city centre, while emergency services rushed to the scene. Helicopters were dispatched to airlift victims to hospital and police were appealing to the public to stay away to allow first responders to do their work. Police instructed schools in the city to keep their doors closed. Mosques and transit hubs were also closed. Shows were cancelled at concert halls and movie theatres. German police said they have upped surveillance on the country's border with the Netherlands and are on the lookout for the gunman responsible for the tram shooting. Heinrich Onstein, a spokesperson for the federal police in the border state of North Rhine-Westphalia, said additional police had been added to watch not only major highways, but also minor crossings as well as railway routes.